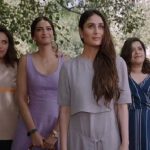 Despite an ‘A’ certification, poor IMDb rating and mixed audience reactions, female-buddy comedy film Veere Di Wedding has registered a strong opening week at the domestic box office. Ekta Kapoor & Rhea Kapoor’s production opened on a surprising note and remained solid throughout a week. 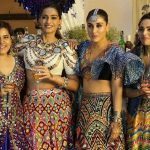 Starring Kareena Kapoor Khan, Sonam Kapoor Ahuja, Swara Bhaskar, and Shikha Talsania in lead roles, Veere Di Wedding got succeed to pull major audience toward the theaters but got failed to satisfy each one of them. It is like, ‘you may hate me, but you can’t just ignore‘. Directed by Shashanka Ghosh, this heroine-centric ‘A’ rated comedy took a surprising start and registered the 3rd best opening of the year. By picking up well over the weekend, it did the business of 36.52 crores that included 10.70 crores on Friday, 12.25 crores on Saturday, and 13.57 crores on Sunday. Then on weekdays, Veere Di Wedding witnessed a usual drop in footfalls but still remained strong. On Monday, it faced a drop of 43.55% than Friday and minted the amount of 6.04 crores. With further dips, the film collected 5.47 crores on Tuesday and 4.87 crores on Thursday. On the next day i.e. Thursday, Balaji Motion Pictures’ presentation recorded a considerable drop due to new releases Kaala & Jurassic World: Fallen Kingdom and bagged the amount of 4.06 crores. With this, its one week total collection has become 56.96 crores nett from 2177 screens across India.